When you talk about “green homes”, a lot of people imagine tree houses with candles for light and getting water from a well. But obviously, that’s not true. The idea of a green home has come a long way over the last few years, as people realize that making your home more energy efficient isn’t just good for the environment, but it’s good for your wallet. But some myths are still around, so let’s nip them in the bud right now. Comfort isn’t sacrificed for a green house! In fact, green homes are better insulated, and often have better air flow, and so they end up being more comfortable, because the house doesn’t end up with hot and cold spots. The entire house is kept at a comfortable temperature. If you are building your home from scratch, or renovating your current house to be more energy efficient, your home can look however you want it too look. A green home can look just as traditional as any other home. If you’re thinking of those low-flow toilets from way back when that needed multiple flushes to get the same quality flush as an old toilet, then think again. Both technology and efficiency have improved a lot over the past few years, and these products can work just as well or better than their energy-sucking, money-draining counterparts. Well, this one really depends. It depends on the home, it depends on the builder or the seller, and it depends on how “green” the home is. But now that more and more people are interested in energy efficiency and saving money on their energy bills, green homes are becoming more and more common, and more in demand. Often times, when you compare the price of green homes to traditional homes, and take into consideration the money you save on your energy bills, it’s really a no-brainer. 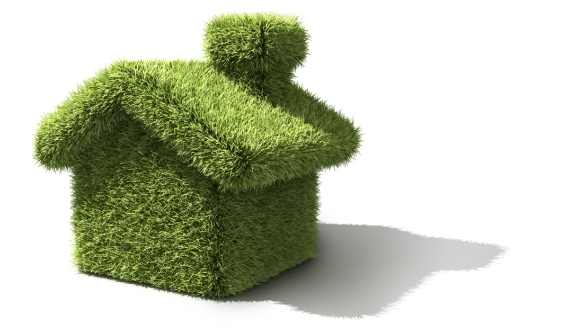 Yes, green homes have a focus on energy savings, but they are also designed for comfort, durability and aesthetics. For example, a lot of new homes are built so that fresh air is ventilated through the house. This not only keeps the temperature comfortable in the home, but the fresh air is good for your health. Green homes are more multi-purpose than you might think. Get Some Facts From The Experts! Now that you know how common, comfortable and affordable a green home is, it’s time to think about how to get your own home to go green. Contact our team at 1-800-309-6006 or visit us at www.buildingenergypros.com to find out how.